Find out the best places to camp inside the park. Camping in Yellowstone is an experience you won't want to miss. It's great to leave behind the hustle and bustle of the workaday world and get out under the stars, enjoy the fresh pine-scented air and explore the wilderness. 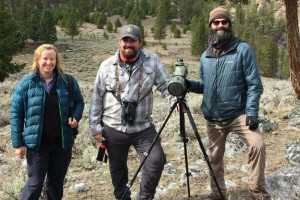 Whatever you want in the way of camping is available in Yellowstone, but if you have specific adventures in mind, it's to your advantage to become familiar with those campgrounds that best fit your needs. Bringing the whole family out for camping will have different requirements than if you are simply intent on a sightseeing tour of the park. If you bring your RV, you'll need different amenities than if you just want lake access. 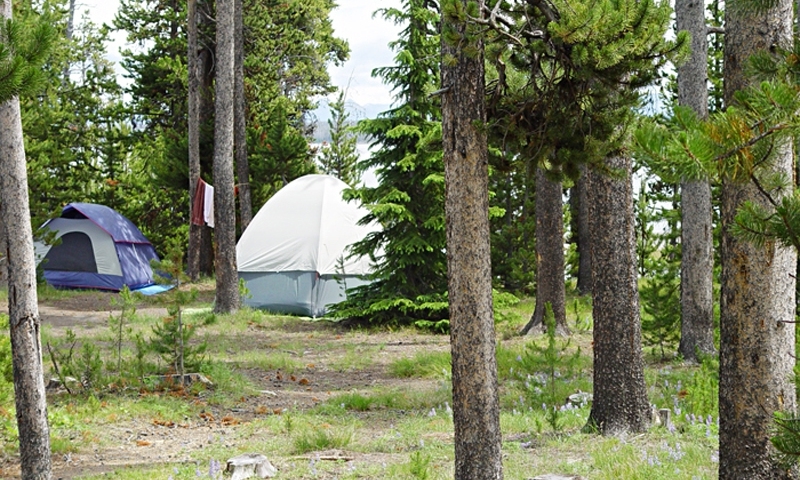 If you love hiking, there are certain campgrounds that are close to some perfect trails. Bridge Bay Campground is ideal for family camping. You can teach the little ones to fish at Yellowstone Lake or Yellowstone River, both a short walk or drive away. A marina is near by and so is a store for those last minute items. Rent a boat and take the family on a lake cruise. Request a secluded campsite, if this is what you prefer, and to avoid possibly hearing traffic moving along the loop road through the park. But no matter where you are within Bridge Bay Campground, you could see a bison come meandering through the grounds. The wild animals are my favorite part of a trip to Yellowstone, and it's fun to see them at such a close range. Bridge Bay is open from May 29th to September 13th, with wonderful ranger programs from mid-June to early September. Although there are no utility hookups, there is a dump station. Central to all sightseeing attractions is Canyon Campground. It's close to the Grand Canyon of Yellowstone, which I feel is one of the pinnacles of sightseeing in the park. Other attractions are just a short drive away. Take a different route each day to take in the best points of the park in the time you have allotted. The beauty of the surrounding tall and stately lodgepole pines makes it an ideal place to stay. I like that it's quiet and clean and very close to excellent fishing and hiking. In Hayden Valley you can experience the elk, wolves, bears and bison up relatively close. Canyon Campground is open from June 5th to September 6th. There are no utility hookups but you have the convenience of stores, restaurants, pay showers and laundry. Although many of Yellowstone's campgrounds take RVs, the Fishing Bridge RV Campground is the only one that offers sewer, water and electrical hookups. They only accept hard-sided units with a maximum length of 40 feet and no tents or trailer tents. Expect somewhat close quarters, but who really cares. You'll be spending most of your time out and about in the park, enjoying nature at its finest. From this campground, you can explore the lower portion of Yellowstone, and it's close to Pelican Valley trailhead for some wonderful hiking. Fishing Bridge RV is open from May 15th to September 27th with 325 sites. Since it's back-in only, be prepared for a little navigation in getting settled. But once you are parked, you can take a break and enjoy the Fishing Bridge or the visitor center near by. You have pay showers, coin laundry and a store with a sanitary dump station for your use. To bring your boat to Yellowstone will allow you to enjoy Yellowstone Lake in all its glory. Grant Campground is at the southwestern edge of the lake and 22 miles north from the south entrance to the park. Within a half-mile you have all you need – from stores and restaurants to pay showers and a coin laundry. I prefer not to hear any highway noise when camping, and if you feel the same way, you'll avoid the far end of the J loop. Otherwise, you won't have any complaints about privacy. There are 400 sites at this campground, and you should make reservations early to get your pick of the best. Grant is open from June 21st to September 20th. It's the perfect time of year to take a day trip into geyser country or enjoy a bike ride to the geyser basin at the West Thumb. Indian Creek Campground is a hiker's paradise. There are trails in and around this campground that have existed for more than fifty years, and they are within walking distance. You'll love the quiet and peacefulness of this secluded place in the forest. Besides the views of the mountains, you will love listening to the coyotes or wolves howling in the night. Gives the feel of truly being out in the wilderness – which is where you are! Indian Creek is open from June 12th to September 14th. The availability of the 75 sites is first-come, first served, so get there early. There's a fire ring and a picnic table at each site. No generators allowed. Some of the campgrounds, such as Grant Village, Bridge Bay, Fishing Bridge RV Campground, Madison and Canyon require reservations to be made via Xanterra Parks & Resorts. Call 1-866-GEYSERLAND (439-7375) or write to Yellowstone National Park Lodges at PO Box 165, Yellowstone National Park, WY 82190. The campgrounds that are first-come, first served require an early morning arrival in order to secure a spot. These are Lewis Lake Campground, Indian Creek and Mammoth Campgrounds, Norris, Pebble Creek, Tower Fall and Slough Creek. 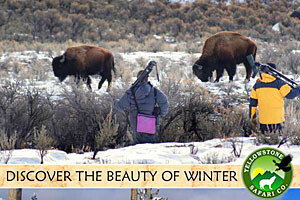 Find more information on Camping in Yellowstone.